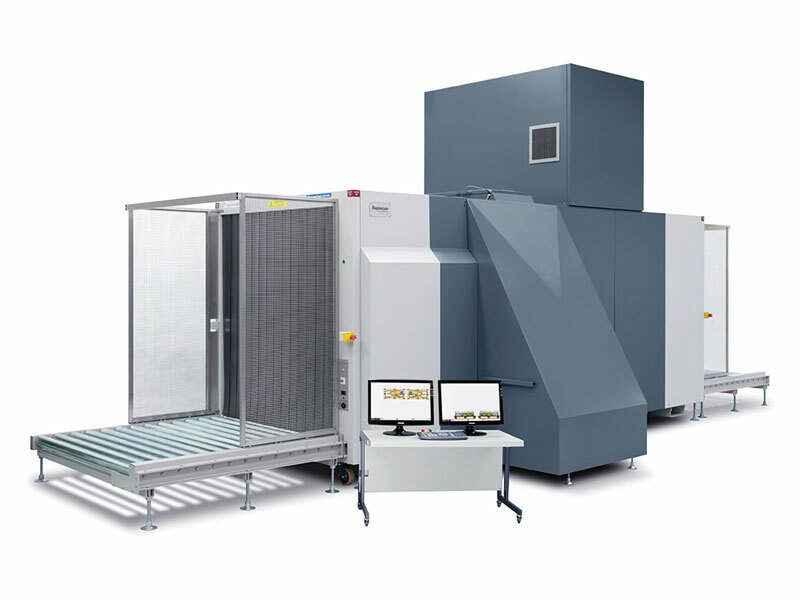 Dual view technology and a heavy duty design for pallet and air cargo X-ray screening. The 632DV is an advanced cargo and large parcel system designed for inspection of pallet and break bulk cargo screening. The 632DV tunnel opening of 1,500 mm x 1650 mm, detection of explosives and narcotics alert, dual view technology, and superior image quality allows high throughput of screened objects. The 632DV has been approved and included on the U.S. TSA Air Cargo Screening Technology List (ACSTL) and the Transport Canada (TC) Air Cargo Security Program (ACS). 632DV performance is in full compliance with the European Union regulations (EC) No. 300/2008, (EU) No. 2015/1998 and Commissions Decision C (2015)8005 for aviation security. As mandated by US and EU regulators, the 632DV utilizes a dual-view technology which produces two simultaneous images (vertical and horizontal views) of the scanned object. It provides a more complete image, thereby reducing the need for repositioning and rescanning and enabling rapid, accurate and comprehensive threat detection. Rapiscan® Systems' proprietary detection algorithm that detects areas of high density while screening air cargo. Rapiscan® Systems collaborated closely with the U.K. Department for Transport to create DARC alarm and jointly executed the necessary test trials to verify the effectiveness of the DARC Alarm algorithm.